Note: There is an updated version of this post here . After weeks of anticipation we are all about to go baby crazy! The third in line to the throne should be making an appearance any time now, and while we all wait for the traditional 41 gun salute, thoughts turned to how this most modern of royal couples will adapt to family life. The Cambridges are determined to live life as normally as possible so we thought we’d do our bit to help them settle into life with a highchair by finding the most child-friendly restaurants in the capital – silver spoon optional! 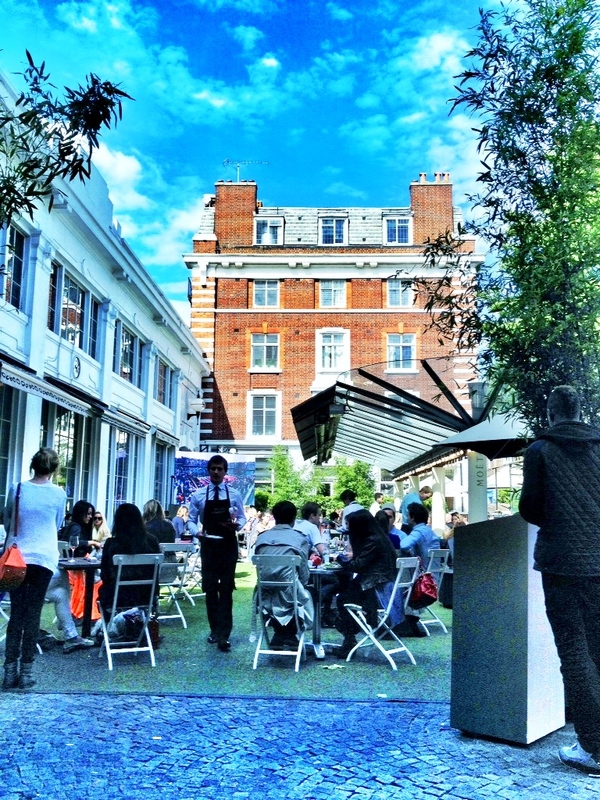 Right on the Duchess of Cambridge’s favourite shopping street, Bluebird often has cute activities for children in its outdoor courtyard including candy floss stalls and fairground rides at Christmas. It’s sure to be on her radar while stocking up on baby clothes! Click here for details. The ultimate in child friendly. Aside from its great menu and delicious dishes, it has a Sunday lunchtime crèche for kids aged 2 years – 12 years old. It’s supervised by fully qualified staff so you can finish off your meal whilst the kids play. Bliss. Click here for details (note creche closed for August). Chelsea brasserie which has its own special kid’s menu. Click here for details. Aptly named, Bill Wymans much loved steak and ribs restaurant has a children’s menu titled ‘Sticky Little Fingers’! Click here for more details. Poshest of celeb hang-outs, The Ivy welcomes children of all ages, has highchairs and is happy to adapt dishes to suit younger palates. Click here for more details. Grand Cafe, The Wolseley is the perfect place to introduce your children to the grand dining experience. The large menu provides lots of options for children and they also have high chairs. Click here for more details. Considered one of the best seafood restaurants in the capital, Scotts does not have a dedicated menu but are happy to do small portions and have highchairs. Brett Graham’s now famous neighborhood restaurant is recognised as one of world’s best. They have no restrictions on age of children dining but only have one highchair so it’s worth checking availability. Click here for details. Children are very welcome and they are happy to amend the menu to make dishes simpler. They also have high chairs. For more details click here. Just called The Ledbury to make a reservation including a 3 year old and have been informed restaurant is not suitable for children under age of 12 and they do not have any high-chairs. Hell0 and thanks for your info – this blog was published a few years ago and it looks like we need to research and publish a new one!